Earprint was asked to design sound experiences for two exhibits at the Peabody Essex Museum in 2016. The first was the Asia in Amsterdam exhibit, which was the result of a collaboration between the Peabody Essex and the Rijksmuseum in Amsteram. This groundbreaking exhibit used both Asian and Dutch artworks from the 17th century to explore the fascinating connection between intercontinental trade and art during the Dutch Golden Age. The widespread visibility of Asian luxuries in Dutch artworks indicates a powerful connection between Europe and Asia during this incredible period of trade. In the creation of this exhibit, the Peabody Essex Museum asked Earprint to design a sound experience for the exhibit entryway. Earprint worked with Jim Olsen to design a 4-speaker sound experience for the entryway. This sound experience was meant to immerse the visitor in the sounds of 17th century Amsterdam by recreating a scene from a bakery at the time. Visitors were immediately immersed in a quotidian interaction between a customer, a baker, and the sound environment around them. This conversation, presented in both English and Dutch, was joined by music and other noises to mimic Amsterdam's city streets at the time. These sounds were accompanied by other sensory experiences, such as some tureens filled with spices that were characteristic of Asian-European trade during the 17th century. The sounds and smells that Earprint helped produce for this exhibit immersed the visitor in the full sensory experience in which the exhibit's artifacts were created and used. Earprint also assisted with the 2016 exhibit, "American Impressionist: Childe Hassam and the Isles of Shoals", at the Peabody Essex, which explored the American impressionist's relationship with the Isles of Shoals. This collection of New England islands captured the painter's imagination and led to the production of the more than 40 oil paintings featured in this exhibit. The exhibit brought together perspectives from geologists, marine scientists, and curators to delve deeply into Hassam's process and environment. In order to draw other sensory experiences into the exhibit, Earprint worked with Ed Rodley, the Associate Director of Integrated Media at Peabody Essex Museum, to create 5 immersive pools that forced visitors to dive deep into the sounds, feelings, and smells of the Isles of Shoals. The immersive pools brought in smells, environmental features like puffs of wind from ceiling fans, and focused audio sounds to recreate the environment in which various Hassam paintings were created. Visitors were thus able to see Hassam's paintings of his environment while feeling that environment all around them. Both of these projects allowed Earprint to explore the immersive capabilities of sound and smell together, and enabled us to assist visitors in entering into foreign environments to fully experience each exhibit's unique features. 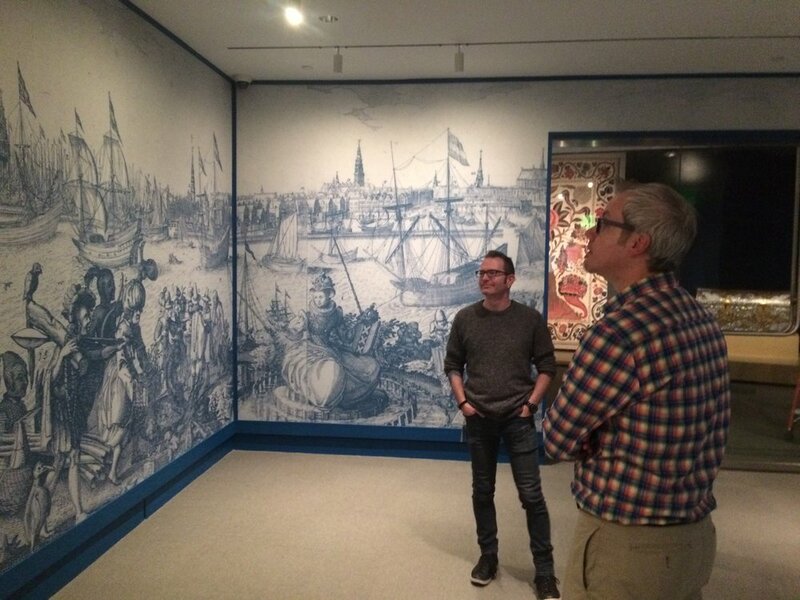 We are thrilled to have worked with the Peabody Essex on these projects and are excited to continue pushing the boundaries of what is possible with sensory immersion in museums.